Native Instruments Traktor Scratch Pro Control Vinyl Mk2 Blue DJParts - All Variety of Parts that DJ Needs. 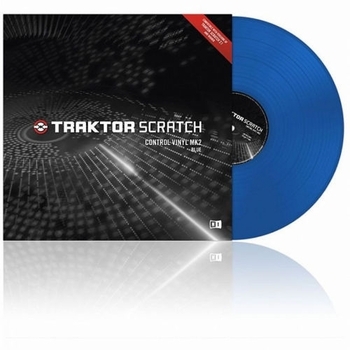 Native Instruments Traktor Scratch MK2 Blue Timecode Vinyl for incredible scratch performance and more authentic vinyl feel. The Traktor Scratch MK2 Vinyl is compatible with all next generation TRAKTOR SCRATCH products when using the free TRAKTOR 2.1.1 service update. Also included are innovative vinyl marker stickers for a clear visual reference point.